The myths and stories surrounding German artist Joseph Beuys' life is integral to his work, as he incorporates materials and objects from his past into his practice. Prolific in his lifetime he is known as a Fluxus, Happening, performance, and installation artist, along with being a sculptor, art theorist, graphic artist and tutor of art: always working towards the idea of the gesamtkunstwerk (an ideal, universal, all-embracing artwork). Seminal works include I Like America and America Likes Me (1973), in which he shared a room with a wild coyote for three days in New York; a trip defined by the fact that he never set foot on American soil either via his arrival or departure. 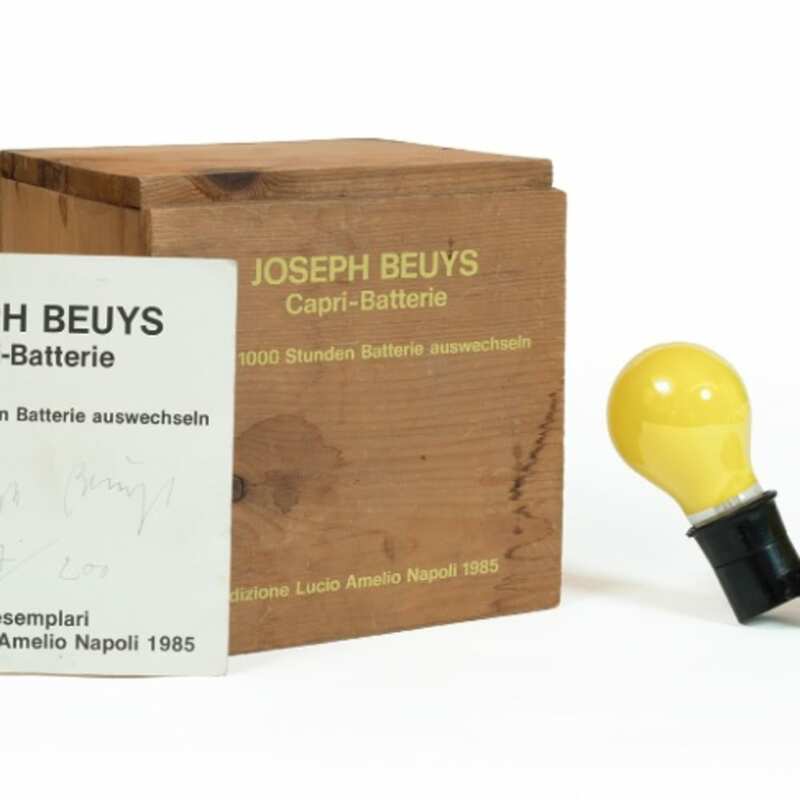 Joseph Beuys is included in major international private, corporate, and institutional collections worldwide and has had career retrospectives at, amongst others, the Guggenheim, New York, and the Hamburger Bahnhof, Berlin.